Established in 1977 and with their headquarters based in Whiteparish, Salisbury, Lascar Electronics certainly came from humble beginnings: the company started out in a garage in Essex. Fast-forward over four decades and Lascar is firmly established in four locations worldwide – Hong Kong, the US, and two sites in the UK – truly a testament to their quality of products and services. Lascar distribute their digital displays, data logging and custom design solutions to over 100 distributors across the globe; while their globally diverse locations ensure customers are never too far from receiving support if they need it. One of the company’s main driving forces is their unabated emphasis on continual product development and constant innovation. Lascar was founded by an engineer, Brian Currie, and is still driven by his focus on technology. This focus has proved a success and very much remains at the core of the company, with the majority of senior managers having an engineering background. When coupled with Lascar’s commitment to providing second-to-none customer service and support, then you have the difference between Lascar and their competitors. 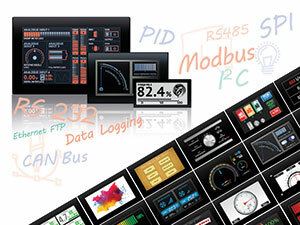 Today the Lascar brands include EasyLog for data loggers and PanelPilot for advanced graphic displays. 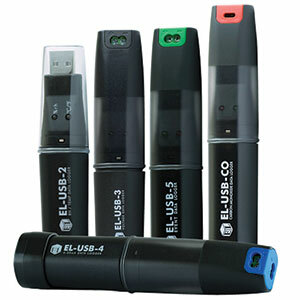 EasyLog launched the world’s first USB data logger and now produces the largest range of data loggers from any single manufacturer, while PanelPilot creates uniquely easy to use but powerful displays and interfaces. Lascar has also developed its own IoT solution, the EasyLog Cloud, which supports tens of thousands of individual sensors across the globe. Continuous technological development means Lascar’s family of data loggers utilise varied communication platforms including WiFi, Bluetooth, USB and SMS, and measure numerous parameters including temperature, humidity, voltage, current, pressure, events and carbon monoxide. All EasyLog products are specifically designed to provide the best possible ease of use, whilst the free software gives users an intuitive interface with which to assess data – the temperature of a given room, for example – as well as receive reports and manage their date logging solutions remotely and securely. The PanelPilot range covers display technologies from full-colour capacitive touch TFTs, through LED and LCDs and recently added e-paper too. The top-end ACE range are perfect for easily configured industrial process control, as an alternative to high-cost dedicated HMI units, and can also carry out multi-parameter data logging. Other products include full colour and LCD panel meters, while the low power consumption of the e-paper display makes it perfect for hand-held equipment. Lascar’s EasyLog range is used worldwide in an enormous variety of markets and end uses, and a brief selection of key sectors would have to include vaccine storage and the pharmaceutical cold chain, the food and beverage industries, industrial automation, facilities management, outdoor environmental data, agricultural and animal welfare, museums and exhibitions, and the energy and marine industries. Essentially, wherever you have an asset or facility that needs monitoring, Lascar Electronics’ solutions have it covered. This entry was posted in Company of the Month, Featured and tagged Data Logging Specialist. Bookmark the permalink.